Since the 1950s, the Sid Copeland Water Treatment Plant has provided the citizens of Louisville, Colorado, with drinking water, using a 600,000-gallon potable water storage tank in the process. The veteran tank had been modified over the years. 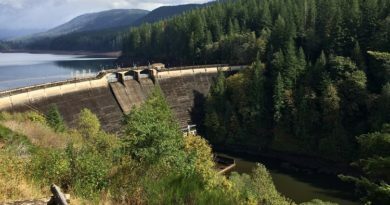 First, in the 1970s, it was changed to a chlorine contact basin after a larger tendon-prestressed concrete tank was built, and later, structural steel bracing was installed to give the walls additional lateral support to resist the backfill loads. Mostly, however, the tank was a workhorse that played an integral part in water delivery to the city’s 20,000-plus residents. 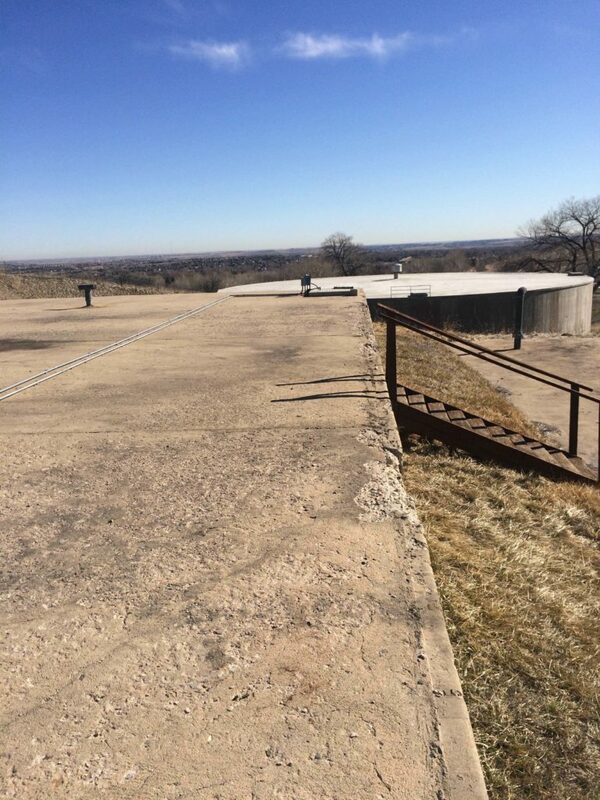 But decades of Colorado weather eventually took its toll (as did the non-air-entrained concrete), and the chlorine contact basin tank’s lid began showing signs of freeze-thaw damage. 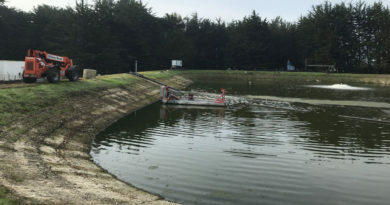 In 2016, the Colorado Department of Public Health and Environment deemed the chlorine contact function ineffective because water “short circuited” the tank. City officials brought in Steve Close to help. With a long history of rehabilitating distressed concrete structures, Close assembled a team of experts, including Ron McLaughlin of Merrick & Company, a civil engineering firm; David Rothstein, of DRP Consulting, a petrographer; and Bud Werner, of CTL|Thompson Materials Engineers, Inc., a concrete and materials expert. The team’s charge? Find a solution that was budget-conscious, had a 50-year life cycle, fit into the available space, and demanded minimal downtime. First, Close Associates determined the lid could be saved under two conditions: (1) If insulation was added to arrest freeze-thaw deterioration and (2) if underlying concrete was otherwise sound. Second, Merrick & Company determined that adding baffle walls inside the existing structure could prevent the short-circuiting of the chlorine contact function. DRP Consulting and CTL|Thompson set to work testing the existing concrete. Petrographic examination and compression tests of roof slab cores revealed the concrete just below the visibly weathered surface remained adequate, proving Close’s assumptions that the lid was “good.” Additionally, cores extracted and tested from the sides of the tank were in very good condition, proving adequate strength and no chemical deterioration of the tank. As a result, the team recommended modifying the existing tank and repairing and insulating the roof. This solution, versus full replacement, would cut costs significantly, correct the issues, and add the requisite 50 years to the life of the tank. 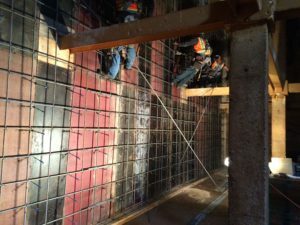 Once the forms were designed, the contractor (Glacier Construction Company of Greenwood Village, Colorado) cored holes in the roof slab over the formed baffle walls to place the SCC concrete. A small rigid tremie pipe – long enough to reach down between the bars and one face of the forms to within 6 feet of the floor – was used to pump the concrete in the forms without segregation and control the rate of placement. The freeze-thaw deterioration in the old roof was then relatively easy to rehabilitate. The team added a lightweight, insulating protective cover instead of the standard, heavier earth cover, rendering the roof viable for years to come. The pitted main part of the roof was not repaired, since it did not affect the life of the roof. 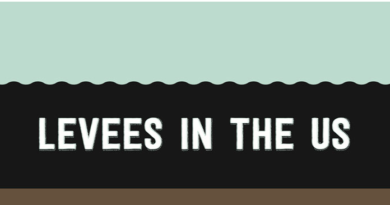 With this fix, the basin’s process efficiency increased from 10 to 80 percent, with a 50-year life expectancy. The repair took less time than replacement, will last nearly as long as a new tank and saved the city hundreds of thousands of dollars. 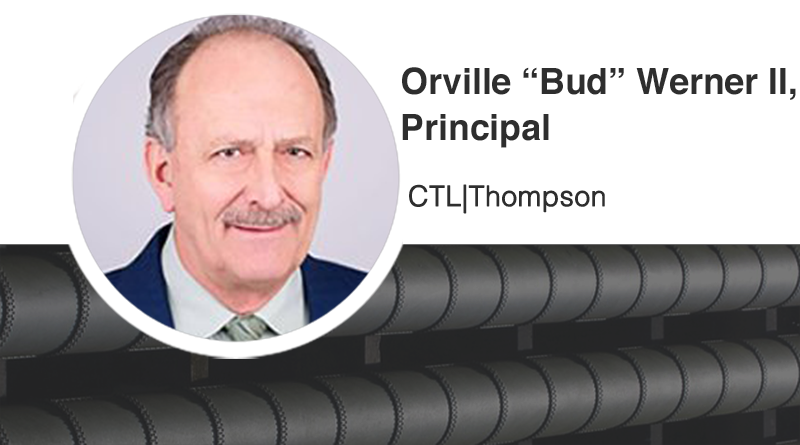 Orville “Bud” Werner II, FACI, is principal of CTL|Thompson and president of CTL|Thompson Materials Engineers Inc., the company’s Commercial Testing Laboratories division. He may be reached at www.ctlthompson.com. Steven R. Close, FACI, is a senior principal engineer with Close Associates, LLC, with over 45 years’ experience in structural design, project management and construction services. Ronald C. McLaughlin is a principal technologist with Merrick & Co. and McLaughlin Water Engineers.